The Mark II insulation blowing hose features an especially abrasion-resistant crown and translucent ribbed walls for easy monitoring of material flow. 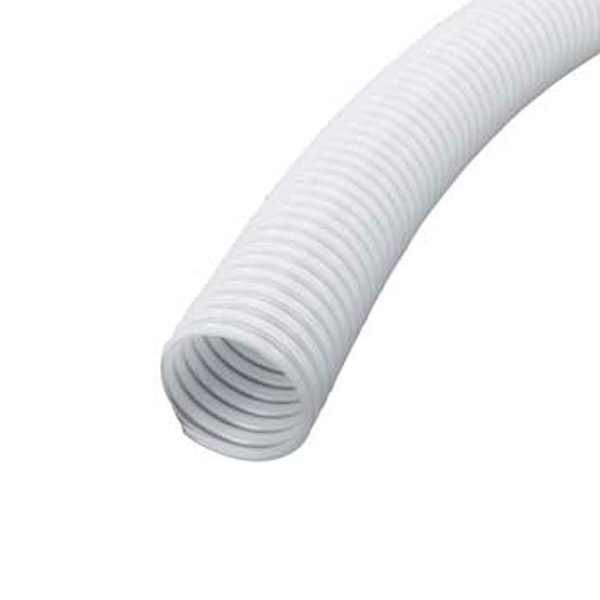 Lightweight polyethylene hose offers the best flexibility with the added feature of having interior walls designed to achieve the greatest amount of fluff to the material being blown through it. Both durable and economical for rugged all-purpose performance. Crush resistant, interior design creates efficient air flow that aerates insulation materials and increases machine efficiency with regards to coverage and density. Resists clogging, translucent walls offer easy monitoring of material flow. Easy to handle in both hot and cold working conditions. Handles both negative and positive pressures.